EUROCLIO - European Association of History Educators is an umbrella association of more than seventy history, heritage, and citizenship educators' associations and other organizations active in the field. 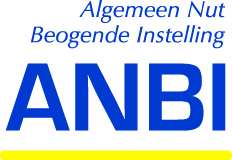 The organization was established in 1992 on request of the Council of Europe. Since then, EUROCLIO has worked in many European countries and beyond on a large variety of issues related to the learning and teaching of history. A special focus has been on countries in political transformation and in particular those with inter-ethnic and inter-religious tensions such as Bulgaria, Estonia, Latvia, Romania, Russia and Ukraine. It has also worked in regions that have experienced recent violent conflicts such as the former Yugoslavia, Cyprus, Lebanon, and the Caucasus. The work has brought together hundreds of historians and history educators to share experiences, to implement innovative learning about the past, discussing also sensitive and controversial issues, and therefore creating new and inclusive historical narratives. Since 1993, many independent new organisations, associations, and institutes of history educators have emerged across Europe and joined EUROCLIO. Currently, EUROCLIO membership covers 84 history educators’ organisations, associations, and institutes from over 40 countries. EUROCLIO welcomes the membership of organisations, associations, and institutes dealing with history, heritage, and citizenship education inside and beyond Europe. EUROCLIO offers a series of opportunities to its member organisations and associations aiming to influence education reform processes, collaborate with larger cross-border networks, participate in professional development training, and steer the member organisation or association through democratic participation. The professional EUROCLIO Secretariat provides support to its members in a variety of fields such as networking, capacity building, preparation, and planning of activities and other related actions. 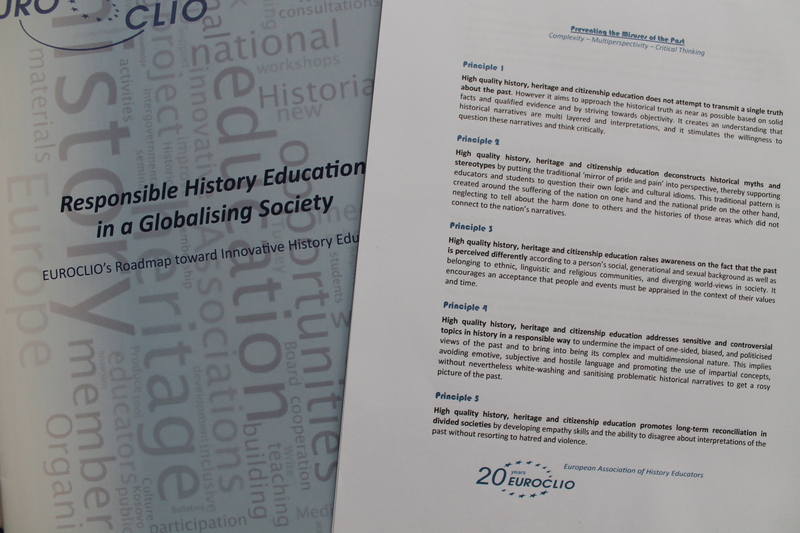 EUROCLIO - European Association of History Educators is a democratic association governed by an elected board. The Board of EUROCLIO is elected by the General Assembly, held each year at the EUROCLIO Annual Conference and made up of EUROCLIO member organizations. The Association is governed according to its Statutes and Internal Rules. The EUROCLIO General Assembly votes on the election of board members, internal rules and statutes changes, and general policy documents such as the EUROCLIO Manifesto. The Institute for Historical Justice and Reconciliation (IHJR) is a research centre that works with educational and public policy institutions to organize and sponsor historical discourse in pursuit of acknowledgement and the resolution of historical disputes in divided communities and societies. The IHJR engages scholars, public opinion leaders, decision-makers and other stakeholders in convening conferences, seminars, debates, and joint research initiatives designed to address unresolved historical legacies. The work of IHJR is guided by a group of eminent jurists, scholars, and other professionals who generously donate their time and expertise. Since 2004 the IHJR has conducted multi-year projects in Asia, Africa, the Middle East, and Europe. The IHJR and EUROCLIO have been working together since 2014 because of a joint interest in supporting societies to deal with their difficult pasts. Since 2016, EUROCLIO has hosted the IHJR at its headquarters in The Hague. EUROCLIO’s status as a charitable organisation enables it to receive grants and contributions on behalf of the IHJR. EUROCLIO and IHJR are now working together on the Contested Histories in Public Spaces to research cases in which contested histories and memories have triggered or fuelled conflicts. The ultimate goal is to support decision makers to make well-informed and reasoned decisions, thereby countering the tendency that responses to these controversies have largely been made in haste, and occasionally in panic, in the face of public protests or social media campaigns. To contact IHJR, email info@ihjr.org or call +33 663 82 83 27. Every year EUROCLIO brings together an overview of all the activities of the year that passed. These reports provide easy accessible overviews of all activities, as well as informaiton about running programmes. The are all accessible in .pdf format below.